Parlay Betting in Sports - What Is a Parlay? A parlay bet is a single bet in which two or more outcomes are dependent on all wagers winning. The reason parlay odds have an allure to sports bettors is because they offer higher payouts than conventional wagers. Of course, the caveat for the sportsbooks is that all bets in a parlay must win for bettors to win the bet. If, one or more of the bets loses, the wager is graded as a loss. Parlays are remarkably similar to the European accumulator, as both consist of several straight up bets that must prevail for the bettor to win the wager. Okay, so we have explained what parlays are, let’s now figure out if they are profitable, and what kind of edge the bookmakers have on their bettors. The standard payoff from an online sportsbook for a two team parlay is 2.6 to 1. The true odds of this bet are 3 to 1. Of course, no sportsbook will offer this to players, as they need to make their commission. Three team parlays pay 6 to 1 by the sportsbooks and have true odds of 7 to 1. The true odds represent the expected outcome if each bet in a parlay is a 50/50 proposition, and does not factor in the oddsmaker’s commission. For this example, we used three different NFL teams. All wagers must win for the bet to be graded as a winner, and if any of the three wagers lose, the bet is a loss. If we risked $100 at +600 (6 to 1), and our bet won we would win exactly 595.79, which we can round up to 596. Though our wager is +600, we still have to pay juice on each of three bets, which accounts for the bookmaker’s commission. If one our bets should push, the parlay would become a two team parlay, and if two bets push, it would become a straight wager. This is a general rule for parlay betting, as pushing a bet in a parlay lowers the parlay odds by one game. Parlays, in most cases, can be split between different sports, and spread out over the course of a few days provided the odds are available for wagering. For example, parlaying a tennis wager with a baseball and football wager. 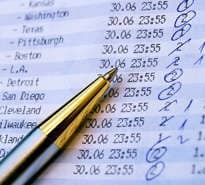 Many factors come in to play when calculating parlays, including the number of teams and the juice on each bet. The best way to calculate a parlay’s profitability is to compare it to the true odds, which can easily be obtained by using a parlay calculator, or doing the math yourself. If you are an avid parlay bettor, it is essential to find a book with the best parlay odds. In a lot of cases, odds may vary slightly from book to book, and while this difference may seem trivial, it makes an immense difference to your bottom line. Finding the best odds for parlay betting is crucial and will make a significant difference in your bankroll. Be sure to compare parlay odds from leading bookmakers, if parlays are a prominent part of your betting repertoire. Taking advantage of promotions and bonuses is also hugely beneficial. Parlays are can be solid bets if used effectively, even though the books do have the players beat on the odds, the vast majority of the time. However, there are situations where bettors can possibly have the upper hand. Many bookmakers offer reduced juice on straight wagers, and allow bettors to import these lines into parlays as well. This can give bettors an edge on the book, or remarkably close to break even odds. Another factor is that parlays require less bankroll, and bettors have the potential to gain a larger amount while risking much less. Rarely can you wager $100 to win $600, but you can betting three team parlays. We suggest you read up on Parlay betting strategies if you would like to learn more on the area of multiple bets. Overall, there is no blanket statement regarding parlays. Recreational bettors bet them for amusement, and professional bettors use them to gain an edge. It all dependss on the situation, and the odds offered.